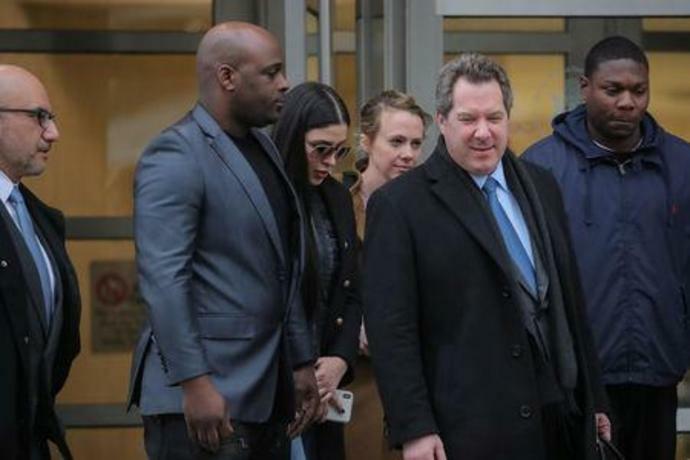 NEW YORK (Reuters) - Accused Mexican drug kingpin Joaquin "El Chapo" Guzman appeared cheerful as the jury in his U.S. trial ended its first week of deliberations on Thursday without reaching a verdict, grinning broadly as he hugged and bumped fists with his lawyers. U.S. District Judge Brian Cogan dismissed the 12 weary-looking jurors from federal court in Brooklyn at about 4:15 p.m. They will resume deliberating on Monday morning. 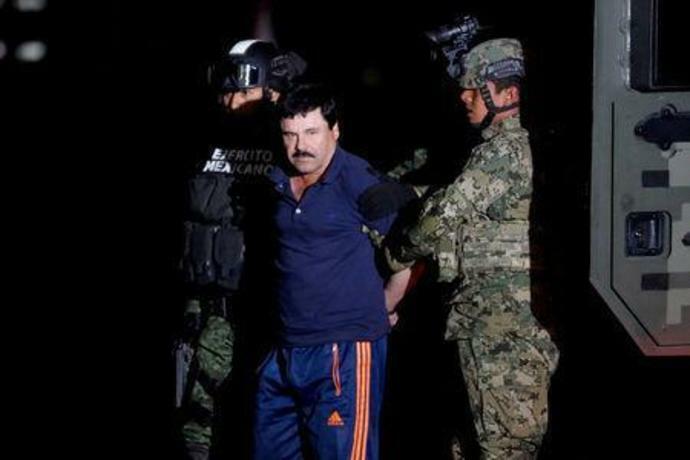 Guzman, 61, is accused of trafficking tons of cocaine, heroin, marijuana and methamphetamine into the United States as leader of Mexico's Sinaloa Cartel. He twice escaped from prison in Mexico. If convicted in the United States, he could face life in prison. The defense has argued Guzman was set up as a "fall guy" by Ismael "El Mayo" Zambada, a Sinaloan drug kingpin who remains at large. Despite Guzman's upbeat demeanor on Thursday, there has been no sign of what way the jury will decide. Earlier in the afternoon, the jury sent a note asking to review the testimony of one a key prosecution witness, Juan Carlos "Chupeta" Ramirez, concerning a series of alleged cocaine shipments codenamed "Juanitas." Ramirez, who has pleaded guilty to U.S. charges and agreed to cooperate with prosecutors, testified that he sold Guzman tons of cocaine for export to the United States. Cogan told the jurors that a transcript of the testimony would be ready for them by Monday. Since they began deliberating Monday afternoon, the jurors have asked to review days of testimony from several witnesses, mostly from former associates of Guzman who agreed to testify against him after striking deals to cooperate with U.S. authorities. The jurors must decide deliver a verdict on 10 criminal counts, one of which consists of 27 criminal violations. The charges include engaging in a continuing criminal enterprise, international drug trafficking and money laundering conspiracy.